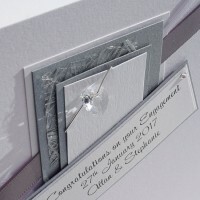 Celebrate an engagement with a beautiful handmade card personalised with Son, Daughter etc or the names of the newly engaged couple. 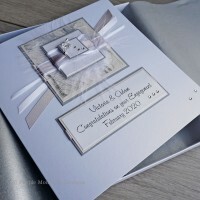 These cards are also suitable for wedding anniversaries, wedding day cards, engagements...simply alter the wording on the front when ordering! 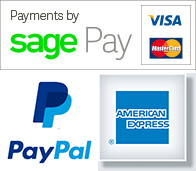 All of our cards can be personalised for FREE so you can be sure to find a card suitable for a special Son, Daughter, Grandson, Grandaughter or for friends. 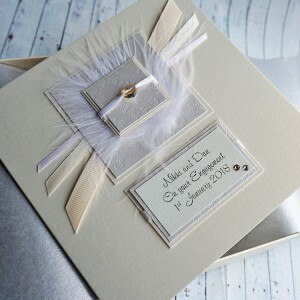 Choose from our luxury boxed cards or our quality handmade cards which are supplied with a crisp white envelope. 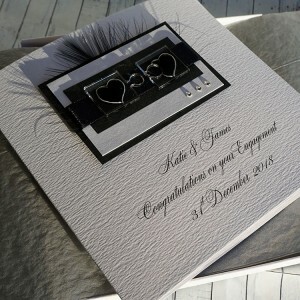 Personalised Boxed Engagement Card "Silver Crystal" A lovely card for an engagement, wedding or ..
Personalised Boxed Engagement Card "Silver Crystal" A Swarovski crystal heart mounted on love..
Personalised Boxed Engagement Card "Jigsaw Hearts" This handmade engagement card can be perso.. 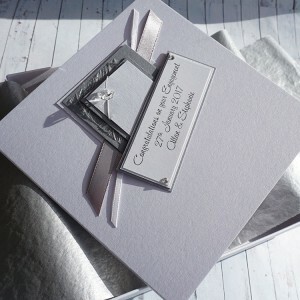 Luxury Engagement Card "Black & White" Personalised with Son, Daughter or the names of th.. 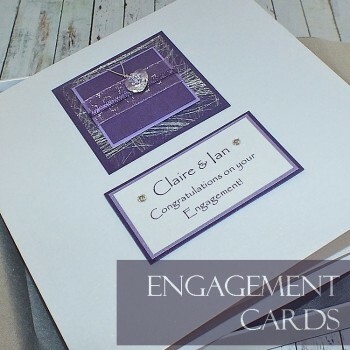 Luxury Boxed Engagement Card "Purple Sparkle" A personalised engagement card for son, daughte.. 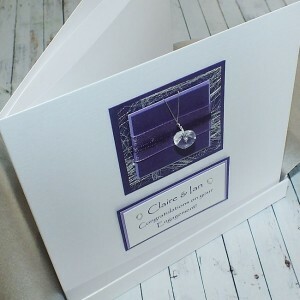 Handmade Wedding Anniversary Card "Silver Heart Bead" A simple design for a wedding day or an.. 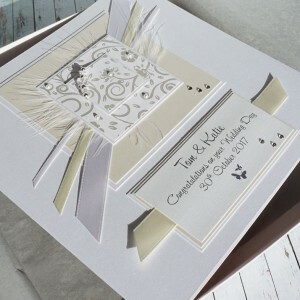 Handmade Card for a Wedding Anniversary or Wedding Day "Ivory & Cream" A beautifully eleg.. 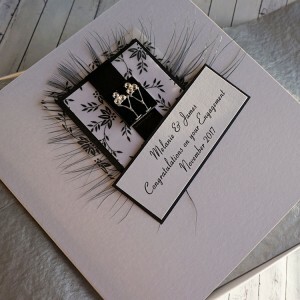 Handmade Engagement Card for Son, Daughter, grandson, grandaughter, friends A beautifully ele..